7. All people operate from the same two motivations: to fulfill their desires and to escape their suffering. Learning this allowed me to finally make sense of how people can hurt each other so badly. The best explanation I had before this was that some people are just bad. What a cop-out. No matter what kind of behavior other people exhibit, they are acting in the most effective way they are capable of (at that moment) to fulfill a desire or to relieve their suffering. These are motives we can all understand; we only vary in method, and the methods each of us has at our disposal depend on our upbringing and our experiences in life, as well as our state of consciousness. Some methods are skillful and helpful to others, others are unskillful and destructive, and almost all destructive behavior is unconscious. So there is no good and evil, only smart and dumb (or wise and foolish.) Understanding this completely shook my long-held notions of morality and justice. Life is a subjective experience and that cannot be escaped. Every experience I have comes through my own, personal, unsharable viewpoint. There can be no peer reviews of my direct experience, no real corroboration. This has some major implications for how I live my life. The most immediate one is that I realize I must trust my own personal experience, because nobody else has this angle, and I only have this angle. Another is that I feel more wonder for the world around me, knowing that any “objective” understanding I claim to have of the world is built entirely from scratch, by me. What I do build depends on the books I’ve read, the people I’ve met, and the experiences I’ve had. It means I will never see the world quite like anyone else, which means I will never live in quite the same world as anyone else — and therefore I mustn’t let outside observers be the authority on who I am or what life is really like for me. Subjectivity is primary experience — it is real life, and objectivity is something each of us builds on top of it in our minds, privately, in order to explain it all. This truth has world-shattering implications for the roles of religion and science in the lives of those who grasp it. One of the basic rules of this test is to write what you feel and what first comes to mind. It’s fine if you have the same answersto different questions. Do not read all at once! Read the questions one by one and do not rush. It will not be so interesting to see the next question if you are still writing the answerto the previous one. Well, if a pen and a piece of paper are in front of you, then let’s begin! 1. Your attitude to life, emotions, sensations. 2. The way you feel in your own family. 3. Your attitude towards women. 4. Your attitude to men. 5. Your basic life strategy and goal. The way you solve your problems. 6. How selective you are in sexual life. Choice of a partner. 7. Your readiness for marriage. 8. Your attitude to death. Credits: Anna, LearningMind, where this first appeared. 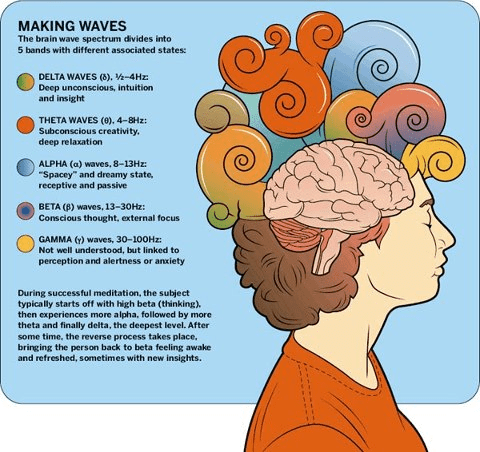 Theta (4-7.5Hz): Theta brain waves are present during deep meditation and light sleep, including the REM dream state. Theta is the realm of your subconscious mind. It is also known as the twilight state as it is normally only momentarily experienced as you drift off to sleep (from Alpha) and arise from deep sleep (from Delta). A sense of deep spiritual connection and oneness with the Universe can be experienced at Theta. Vivid visualizations, great inspiration, profound creativity, exceptional insight as well as your mind’s most deep-seated programs are all at Theta. The voice of Theta is silence.Delta (0.5-4Hz): The Delta frequency is the slowest and is present in deep, dreamless sleep and in very deep, transcendental meditation where awareness is completely detached. Delta is the realm of your unconscious mind. It is the gateway to the Universal mind and the collective unconscious whereby information received is otherwise unavailable at the conscious level. Delta is associated with deep healing and regeneration, underlining the importance of deep sleep to the healing process. Cellular Biologist Bruce Lipton believes that humans can control their genes by changing their environment. New age gurus, spiritualists and visionaries talk about the power of thoughts and how it manifests into reality. But when the same theory/concept is affirmed by someone from a scientific background, it helps bridge the gap between science and the spirituality. Bruce Lipton, a cellular biologist and bestselling author of The Biology of Belief, advocates the idea that we have significant control over our biology, and with our intentions and beliefs we can ‘reprogram’ or ‘control’ our genes and our lives. This challenges the traditional scientific belief that genes control life and people attribute their illnesses to genetic dysfunctions. For instance if cancer, heart failure or some other disease runs in the family, it doesn’t necessarily mean that a younger member of the family would also get those diseases, contradictory to the belief that diseases are hereditary. The genes can be altered by changing our environment and perception of that environment. Cells are like miniature people, since cells and humans have the same system like digestive, reproductive, immune and nervous systems. Each cell, like every human, has receptors built into its skin so it can become aware of the environment. If a person is in a stressful environment, every one of our cell is also experiencing that via the electromagnetic vibrations sent throughout our body. Similarly, if we are happy, our cells are happy and in harmony. “Cells experience the same life you experience and it can survive outside of your body by living and growing in a tissue culture dish,” Lipton adds. Research reveals that 95% of the time humans use their subconscious mind which is the habit mind programmed from childhood till the age of 6, after which your life is controlled by those habits. While the conscious mind, which we associate with our personal identity, our thinking and reasoning mind, is used only 5% of the time. You might accept this message and might think that I will change or become positive and eliminate the negative thoughts, but in real that’s only your conscious mind talking, the subconscious wants to return to his old ways of repetitive patterns. We have to make a conscious effort to unlearn what we were programmed as children and not rely on habits and make a visible change in our lives. 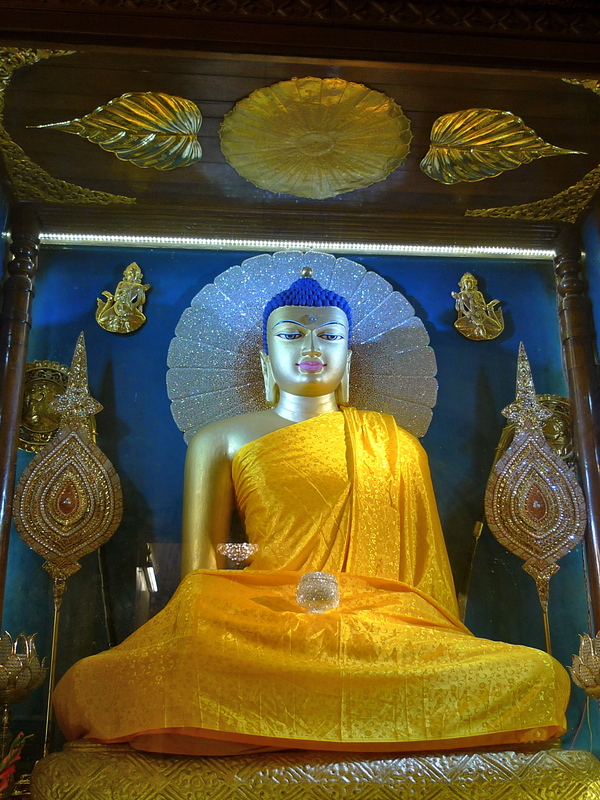 According to Lipton, there are three ways that are effective in changing old, limiting or sabotaging beliefs in the subconscious mind, Buddhist mindfulness, clinical hypnotherapy and a new healing modality called ‘energy psychology.’ This change will eventually lead to a healthier living in harmony with nature and ourselves. Since embarking upon the adventure and answering “the call” in 2010, I have had the privilege to witness amazing acts of serendipity first hand and meet some of the world’s greatest creators. Over the course of this journey, I have grown increasingly interested in the factors that contribute to the building of real life super heroes; individuals who have discovered their inner power to create their path. What makes someone an outlier, a hero that is willing to consistently push through the darkness to bring large scale visions to reality? I have found that many of the world’s greatest creators often suffer from conditions that the medical community would often deem as mania, schizophrenia, bi-polar, or obsessive compulsive disorder. This concept is brought to light by medical psychologist Nassir Ghaemi, who explores the lives of Sherman, Lincoln, JFK, Gandhi, MLK, and many more prominent leaders who suffered from symptoms of these diseases. As a result of the taboos associated with “mental health” in our society, many of the world’s greatest artists/heroes are being drugged and brain washed into believing that they are victims of an incurable “dis-ease”. The biggest obstacle many of these talented individuals face is overcoming the sense of shame associated with these “taboo” conditions that are not well understood by our world. If one learns to channel their gift, however , a new world emerges that connects the conscious and sub-conscious realm. This is the key to modern alchemy (bringing large scale visions to reality) and as our world progresses you will see more and more people affected. This isn’t an easy or comfortable process and many will refuse to answer the call out of fear of death (ego) and the challenges associated with channeling huge amounts of collective energies. In the negative, people that have these awakenings will be heavily drugged to “control” their gift. This is not a necessity but can serve as an accelerator for a child or young adult that encounters a traumatic experience early in life . As a result of trauma, human beings are often forced to ask the deeper questions. Who am I? What is the point of life? What is death? Why do I fear what I fear? To discover any type of truth in this life, we must first be willing to ask the right questions. It is amazing how life opens when we learn to surrender and let go of limiting ideologies. At some stage of life, the hero must undergo a transformation that forces him or her to let go of the perceived self and the past story. In the modern age this often happens in the form of a mid life crisis, traumatic accident, or some type of failure that derails the perceived sense of Self. Why hold to past stories, ideologies, and heavy forms when you can create whatever you want in the present? Once the heaviness of the ego departs, a new world emerges that is far more vibrant and fresh than anything previously experienced. During this stage, creativity is enhanced which often leads to astonishing successes that many fail to fully comprehend. Again, this is not an easy process since the hero most confront the darkness directly to prevent against experiencing these negative , reoccurring cycles that consumes the masses. Suffering is a natural, necessary process to discover the inner hero (the creator). “Out of the ashes rises the phoenix (self)”. The first step of the hero’s journey is confronting the father and it has been common thread throughout all cultures since the beginning of time. You are not your parents and you must be willing to confront your loved ones if they challenge your vision or dream. This is the hardest thing for a hero to do; however, it must be done if you wish to discover your own potential. The greatest heroes usually grasp this early and take the leap! The first step of the journey is often the most difficult because we are often too paralyzed by our own fears to muster the courage to embark. Once the hero understands this illusion, he or she is no longer afraid to act since they know that the resources will be unlocked once the first step is taken. After each successive journey into the unknown is completed, the hero gains confidence and refuses to worry about the opinion of the masses. If perception creates reality, why should we focus on anything outside of ourselves? Again, this is a difficult process since many of us depend on the views of others to define our sense of “self”. Deep down everyone knows the direction they should go in, however, fear and uncertainty can often paralyze the strongest ambition. The greatest heroes learn to listen and trust their internal compass despite external circumstances. By living a life that is authentic to whom they wish to be, they indirectly empower everyone them to discover their own strength. **In a world of endless information, we must be willing to discern what is important by following our own intuition. If not, the hero’s journey becomes an endless reading of self help books with the same universal message. Action comes as a result of your belief in yourself…. Be the creator rather than the consumer! I received this advice during an interview with one of the greatest leaders of my generation (Eric Greitens). He told me that it is through the feeling of fear that we know we are headed in the right direction. It sounds counter-intuitive right? Doesn’t fear protect us from danger? The truth behind Eric’s statement is that a vast majority of our society hides behind their fear and is afraid of anything outside the status quo. These individuals do not truly live because they never will possess the ambition, drive, or courage to free themselves from their self created limitations. Take the time right now to think about something you were deathly afraid of as a child. What happened when you confronted that fear? Now think of something you feared this past month. Have you been able to confront it? What was the outcome? Many times our fears are just layers of our insecurity that we must purge to strengthen our human potential. As a rule of thumb, if you fear something it is an indicator that you must take action. This mindset will accelerate your life path if put into action. The hero realizes the powerful relationship between perception and reality and becomes more conscious of the world they are creating. Rather than focusing on external situations, they dive within, discovering their power to transmute suffering and dissolve obstacles. This gives the hero confidence to take bigger and bigger leaps of faith for the benefit of his fellow man. In order to experience the “light”, a hero must undergo a deep transformation where dark aspects of the psyche are analyzed and transmuted. The world exists in opposites so one will experience success and failure interchangeably, learning to become unattached to outcomes. To cure a condition, we must endure it ourselves to obtain the weapon to transmute it. Unfortunately, most of society’s leaders (doctors, teachers, politicians, psychologists, psychiatrists) obtain all of their perspectives from “text books” and fail to have any impact on those they are trying to help. A hero must undergo intense suffering at some stage in their lives and learn from direct experiences to help those caught in the darkness. How do you learn to follow your intuition any other way? The adventure never ends in the life of the hero and it is embraced rather than fretted about. Once one goal is accomplished another “call” will come, leading to a fresh set of challenges. With this mindset, the hero over the course of his/her life seems to be at “home” in all environments and is unafraid of what life may bring. 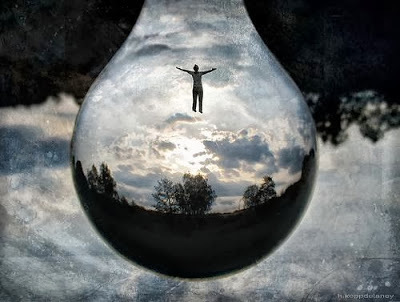 The renowned psychiatrist, Carl Jung, brought attention to the phenomenon of dream analysis that has been utilized by many of humanity’s greatest leaders. By remembering and analyzing the symbols found in our dreams, we are able to connect our conscious to our sub-conscious mind, allowing human beings to recognize blockages and accelerate their ability to manifest. Albert Einstein, Thomas Edison, Nikola Tesla, Mary Shelley, Bob Dylan, Paul McCartney, James Cameron, Thomas Jefferson, and John Adams are just a few who have attributed some of their greatest breakthroughs to dream analysis. *I highly recommend the following books to better understand this concept. To succeed in this life at the highest level, there can be no separation or division based upon limiting beliefs or religious ideology that cut off sects of humanity. The true power in all religions is found in the metaphor and if a hero grasps this, he realizes that god is within, not without. We must be willing to connect the dots in our lives and evolve beliefs that limit our potential.